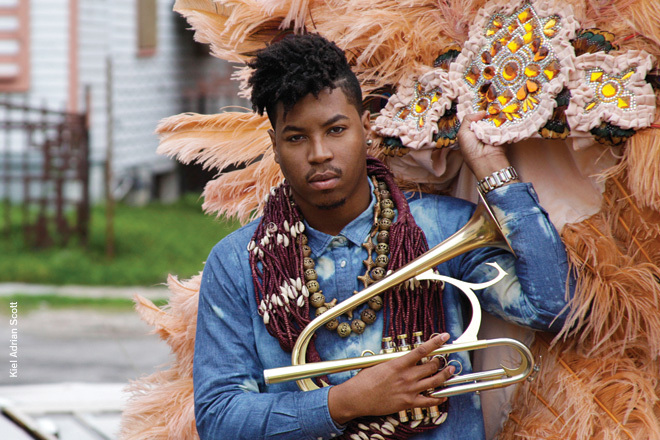 Christian Scott aTunde Adjuah is an award-winning American jazz trumpeter. He is also a producer and composer whose music cuts across several genres such as jazz, hip hop, jazz fusion, and alternative rock. In the course of his career, Adjuah has released several critically acclaimed albums which you will get to know more about below. He has also headlined several sold-out shows at prestigious venues such as Carnegie Hall. Adjuah is simply one of the best things to happen to jazz in a long time. No wonder, Jazztimes Magazine described him as Jazz’s young style God. Get to know more about this trailblazing artist as encapsulated in his bio and the adjoining five facts. Christian Scott aTunde Adjuah was born as just Christian Scott on the 31st of March 1983 in New Orleans, Louisiana. New Orleans is the birthplace of jazz music and as such, it is not surprising that Adjuah went into jazz music. The young Adjuah grew up in New Orleans upper ninth ward and from the age of 13, started receiving jazz lessons from his uncle, a famed jazz saxophonist. At the age of 14, Adjuah enrolled at the New Orleans Center of Creative Arts to study jazz. While there, he distinguished himself, so much so, that he earned a full ride scholarship to Berklee College of Music, Boston. At Berklee, he was a member of the school’s Monterey quartet and graduated in 2004. 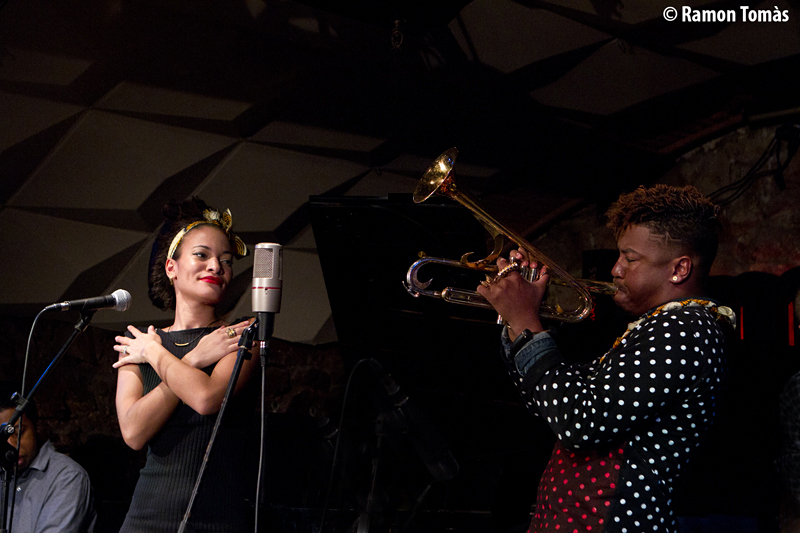 Christian Scott aTunde Adjuah signed up with Concord Music record label in 2005. He released his first album titled Rewind in 2006. The album was a success and received the Grammy nomination for best contemporary jazz album. Till date, the New Orleans native has released a total of 11 studio albums, one greatest hits compilations, and two live albums. In 2017 alone, he released three studio albums collectively known as The Centennial Trilogy. Centennial Trilogy comprises of Ruler Rebel (released in March 2017), Diaspora (June 2017) and The Emancipation Procrastination (September 2017). The albums were released to commemorate 100 years anniversary of the first jazz recording. Adjuah’s mom is named Cara Harrison while his dad’s name is Clinton Scott III. The musician has an identical twin brother named Kiel Adrian Scott. Kiel is also super-talented but his talents lie in movie making and not music. He is a budding writer and director. In 2015, he received the student’s award from the Directors Guild of America. Kiel has two award-winning films to his credit. They are Samaria and The Roe Effect. The two brothers often collaborate and Adjuah composed the music for some of his brother’s movies. The Scott’s trace their ancestry to West Africa. As a result, in 2012, the jazz trumpeter changed his name to Christian Scott aTunde Adjuah. This is a nod to his West African roots. The jazz star is married to his long-time girlfriend, Isadora Mendez. Adjuah and Mendez started dating way back in 2009. They first met when he visited the SoHo boutique where she worked. He was immediately attracted to her but she had no idea who he was. He later went back to the store and asked her to model for his album photoshoot. This was the beginning of their relationship. Adjuah and Mendez got engaged in May 2011 during his performance at the New Orleans Jazz Fest. He first performed a ballad titled Isadora and then asked Mendez to come onstage. He dropped to his knees and popped the big question. She said yes and the crowd gave them a standing ovation. Adjuah and Mendez have now tied the knot but we do not know the specific date. Mendez is Latina. Her mother is from the Dominican Republic while her dad is from Puerto Rico. She is also a singer and songwriter and has performed onstage with her hubby. Christian Scott aTunde Adjuah has received several honors, including two Edison Awards in 2010 and 2012. Before his Edison Award, his Rewind That (2006) received a Grammy nomination. The album was released by Concord Records and is his debut album for the label. Christian Scott aTunde Adjuah has an uncle who is a famed jazz saxophonist. His name is Donald Harrison Jr. He was the one that first mentored him in jazz music. Just like his nephew, Donald Harrison Jr. is an alumnus of The New Orleans Center For The Creative Arts as well as the Berklee College of Music. He released numerous successful albums in his career and in 2007, Jazziz Magazine named him the person of the year. One cannot help but conclude that he must have been a huge influence on his nephew’s life. He has his own music app known as Stretch Music App. He releases his music through the app. The app is an interactive music player which allows listeners to manipulate the tracks they are listening to. Christian Scott aTunde Adjuah’s net worth is still under review. However, one can confidently say that he must have accumulated a small fortune from his music career. Asides his albums and sold-out tours, he has composed music for several big companies. They include Hennessey Cognac, Tag Heuer, GAP and ESPN. Christian Scott aTunde Adjuah personally describes his music as stretch music. This is because his music is not restricted to traditional jazz but also incorporates elements of hip hop and alternative rock. Even though his songs may not have lyrics, Adjuah is very vocal about political and social issues such as racism and gender inequality. This is as a result of his own personal experience. He grew up in a world that was divided along race lines. As a kid, he noticed that the one thing that truly united people was music. As such, he resolved to use his music as a tool of unity.